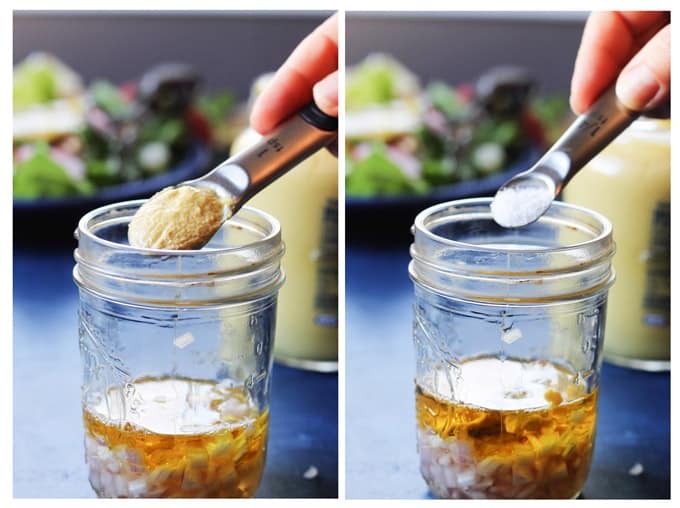 French Salad Dressing is super simple, requires just a few natural ingredients and can be put together in less than 5 minutes. 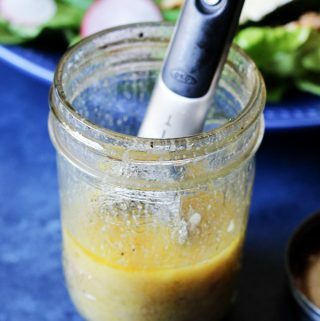 Classic French vinaigrette is something that everyone who likes to cook great meals from scratch, should know. 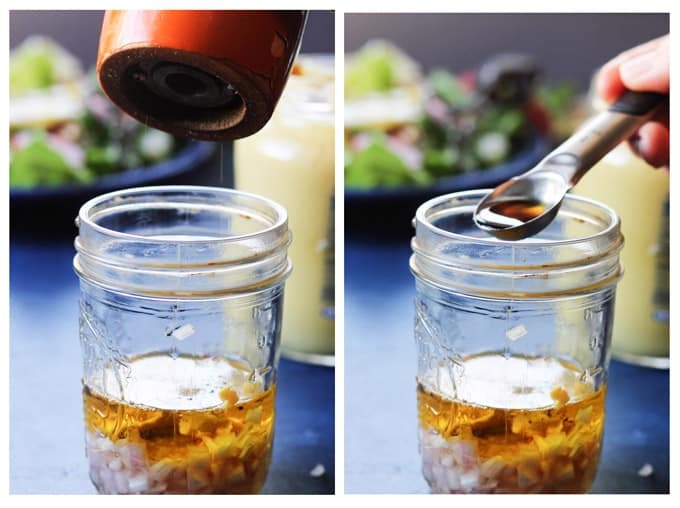 Below I will show you a step-by-step how to make this amazing simple French Dressing. 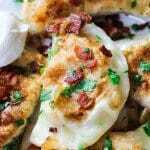 You may find a lot of recipes online that are intended to recreate a store-bought French Dressing and they contain a copious amount of sugar, ketchup, oil, vinegar and lots of different spices. 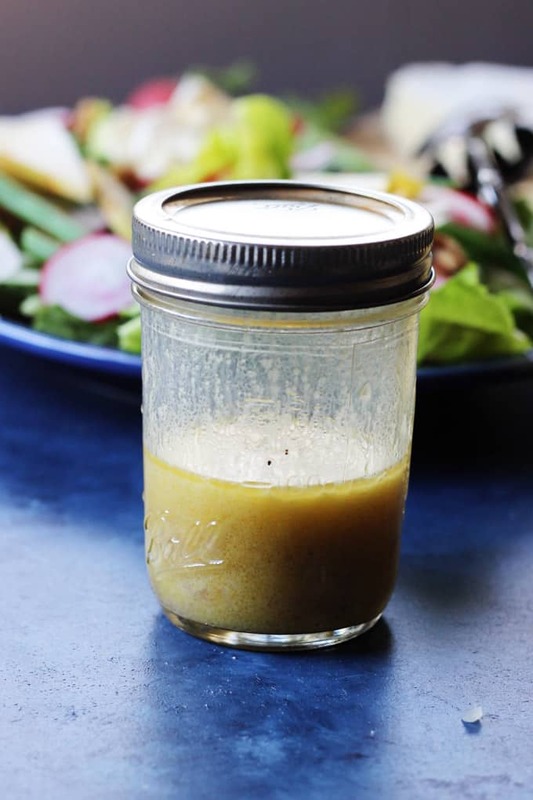 This French Vinaigrette is not that type of dressing! 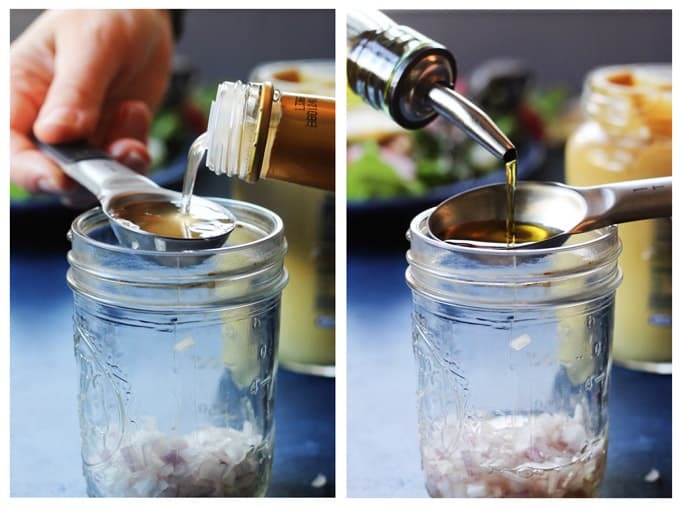 This French Salad Dressing is a very simple vinaigrette that the French eat all the time. 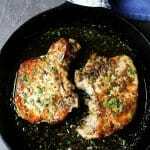 They usually just toss it with simple greens and they have a perfect side dish. 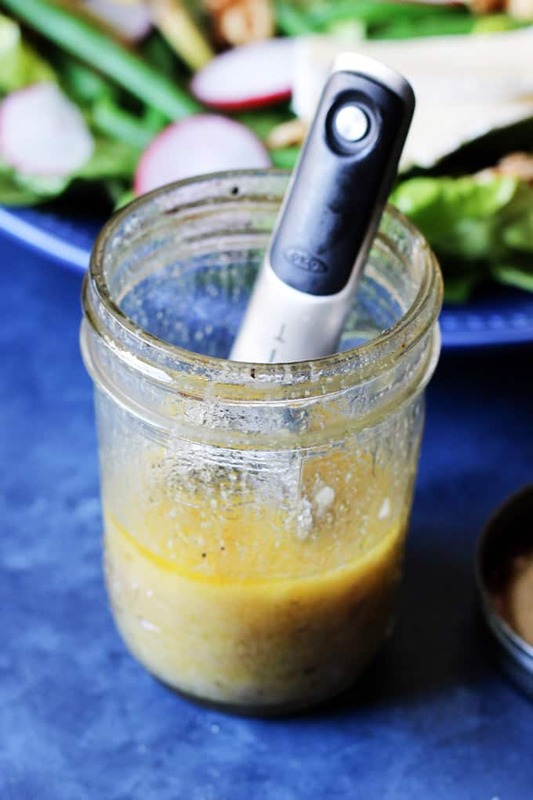 But possibilities for this homemade French dressing go way beyond that. Step 5: Add about a 1/4 teaspoon of salt. Step 8: Put the lid on the jar and mix well. 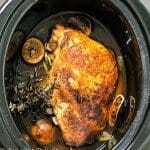 You can use it immediately or it can be kept in a refrigerator for about a week. Any steamed veggies, like broccoli, cauliflower or beans. Add about a 1/4 teaspoon of salt. 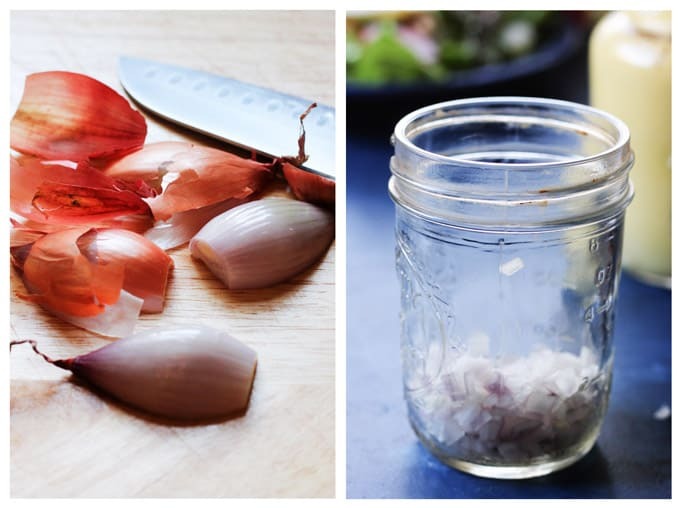 Put the lid on the jar and mix well. You can use it immediately or it can be kept in a refrigerator for about a week. Pour over your favorite salad. This looks delicious! I’m going to have to make this for my salads this week. Thanks Juli. I’m sure you will like it! Wow, this would surely make for a delicious salad dressing! 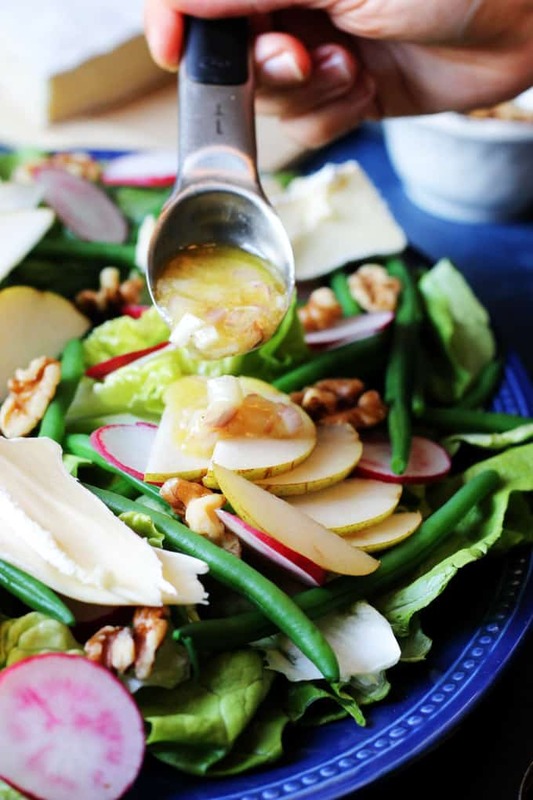 After living in France I love vinaigrette and can’t eat salad greens without it. Perfect recipe! This looks like the perfect dressing! I want to put it on everything!